Healing Crystals is dedicated to "Promoting education and the use of crystals to support healing.” Healing Crystals supports the Foundation for Balance and Harmony, a 501(c) (3) non- profit. We offer high vibration crystals for sale and distribution across the planet. We have an astounding amount of educational information and are active on many social media outlets. and fill themselves with the Infinite Love and Light of Spirit. Spiritual Growth and Healing efforts." Satisfaction Guarantee - We are committed to building long-term relationships with our customers and want you to be 100% satisfied with your purchase! Sorting- We sort and price our crystals very carefully. Please see the item descriptions for specific information about the size and grade of the crystal that you will receive. Pricing- We offer both retail and wholesale prices. You don't need a fancy license to take advantage of our wholesale pricing! You'll receive wholesale pricing automatically when you purchase larger quantities. The quantity discount information is listed on each product page. Disclaimer- We feel that crystals can complement other therapies and support energetic well-being. Crystals should not be used as a replacement for medical treatment. For medical advice, please consult a licensed healthcare specialist. Foundation for Balance and Harmony is an IRS approved 501(c) (3) non-profit organization dedicated to "Healing the Planet, One Person at a Time.” See www.FFBH.org for more information. Pedagogy Program - Using a combination of Energy Kinesiology, Brain Gym, and Pedagogy exercises, founding director Dennis Lortie developed a program that enhances learning potential and can help to eliminate the symptoms of dyslexia in both children and adults. Since 2003 we have worked with over 4,000 students and trained over 750 teachers in Guatemala, Central America. We have a wonderful team who carefully chooses your crystals and packs them gently into their boxes. Shawn is the President and founder of Healingcrystals.com. If you ask him why, he'll tell you that the simple answer is because crystals feel good! 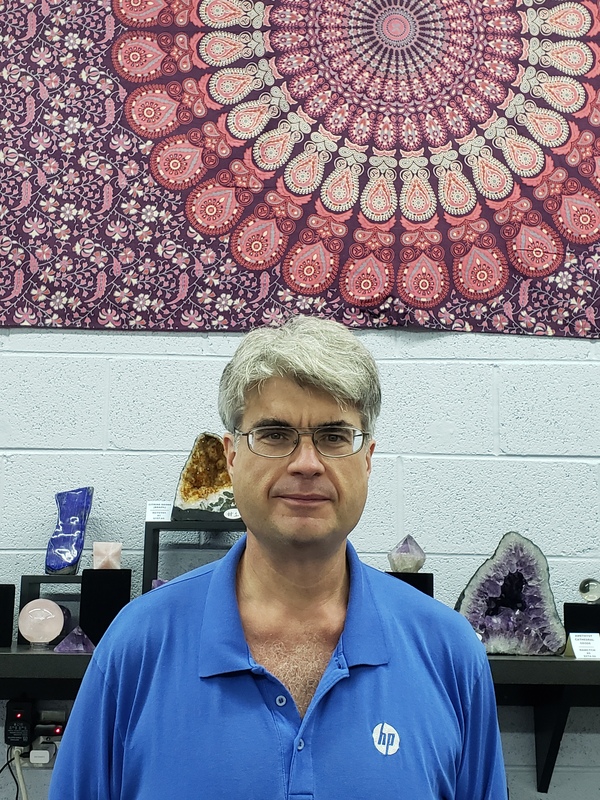 After being drawn to crystals since his childhood, Shawn started Healing Crystals in 2003. It started out small and has been expanding ever since...and now ships crystals worldwide to help fulfill the goal of "healing the planet, one person at a time". His favorite crystal is the wonderfully grounding Black Tourmaline. When he's not at the Healing Crystals warehouse or working on his real estate investment business; Green Stone Properties. Shawn also enjoys computers, hiking and spending time with his family. To learn more, llsten to this radio show interview from Shawn about Healing Crystals. Kevin was born and raised in south/central Virginia (there is a difference) and loves the rural/country lifestyle. He currently commutes from the West Virginia panhandle and lives "up on the Blue Ridge". Kevin enjoys spending time outdoors camping, hiking, hunting and canoeing. When he is not roaming the woods and mountains, he is enjoying life with his lovely wife Jessica. Jim has over 20 years’ experience in retail and customer service. Happy to talk to you over the phone or via email, Jim has an eclectic background including classic philosophy, English Literature, Irish Mythology, obscure trivia, and giant Kaiju movies. When he's not writing training manuals or answering customer phone calls or emails, Jim collects nicknames, enjoys fishing, reading, and visiting with his family and friends. 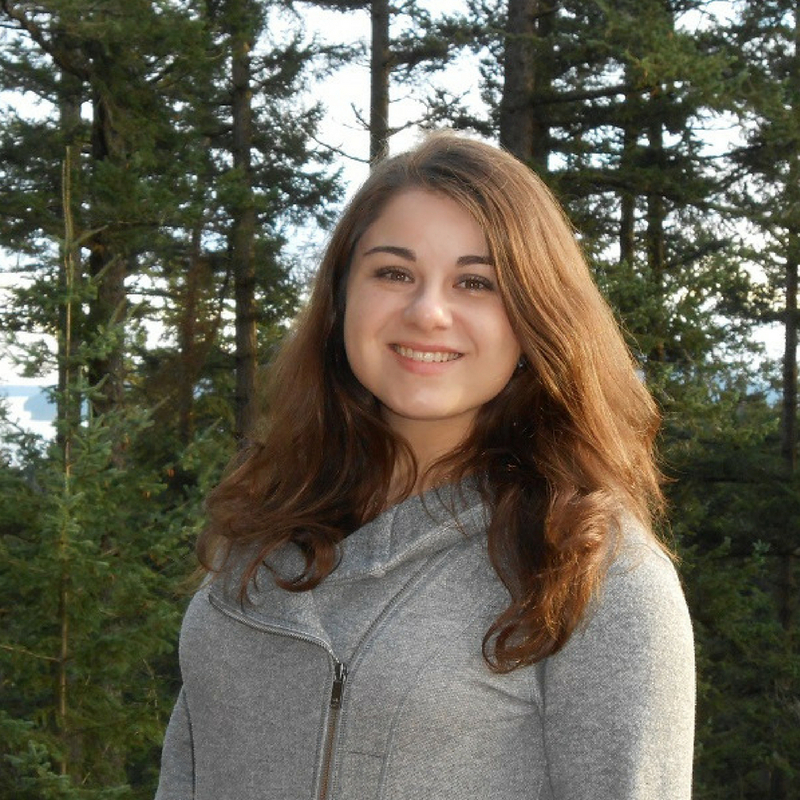 Dakota is a college student and educator, hailing from Michigan. He currently attends Northern Virginia Community College, where he is pursuing his degree in health administration. Dakota loves learning about stones and crystals and is learning more every day. In Dakota's free time, he likes to dance/perform in the color guard. 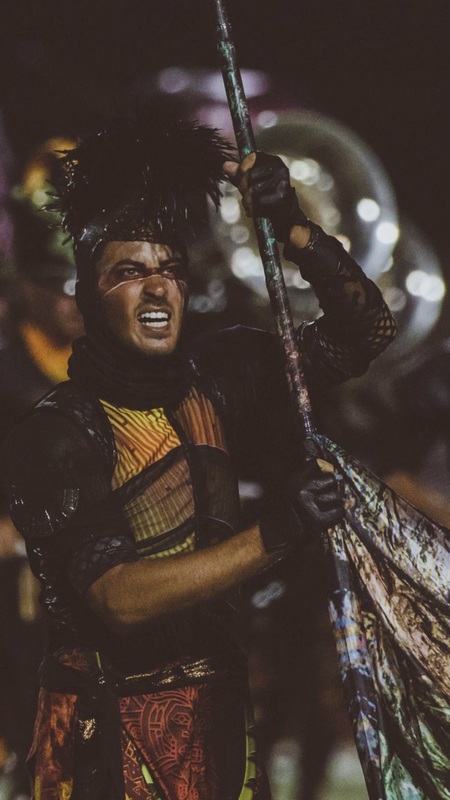 He just finished a three month tour with the Carolina Crown Drum and Bugle Corps. Dakota also likes to spend time with his mother, and taking random trips to the beach. 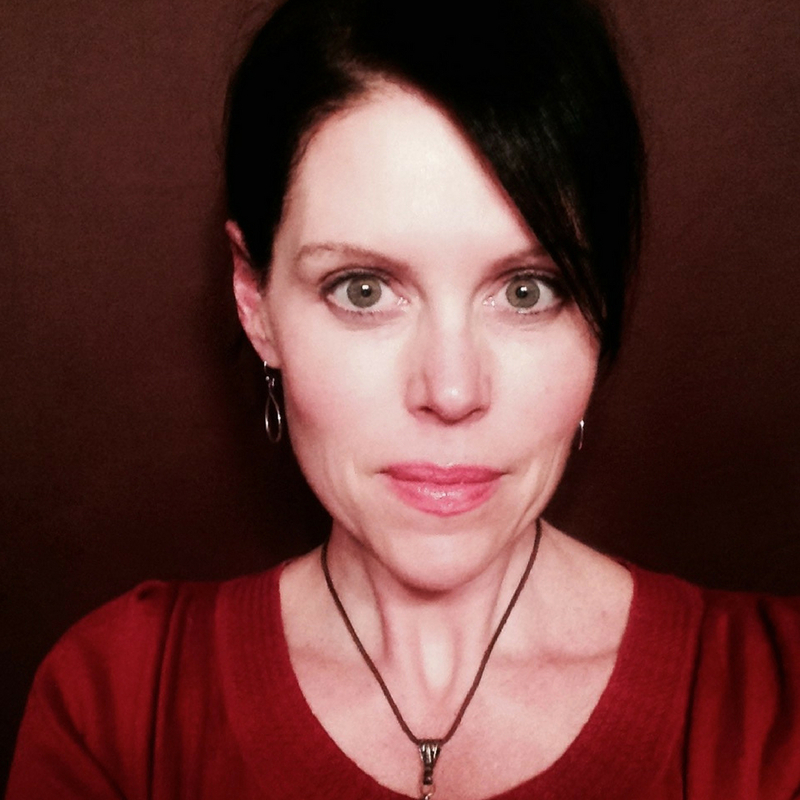 Stephanie Tingle is an energy worker and reader who lives in the beautiful Mt. Hood area of Oregon. She is a Certified Holistic Health Practitioner and has been trained in many energy healing modalities, such as Reiki and Chios. She is also a Doreen Virtue Certified Angel Card Reader. 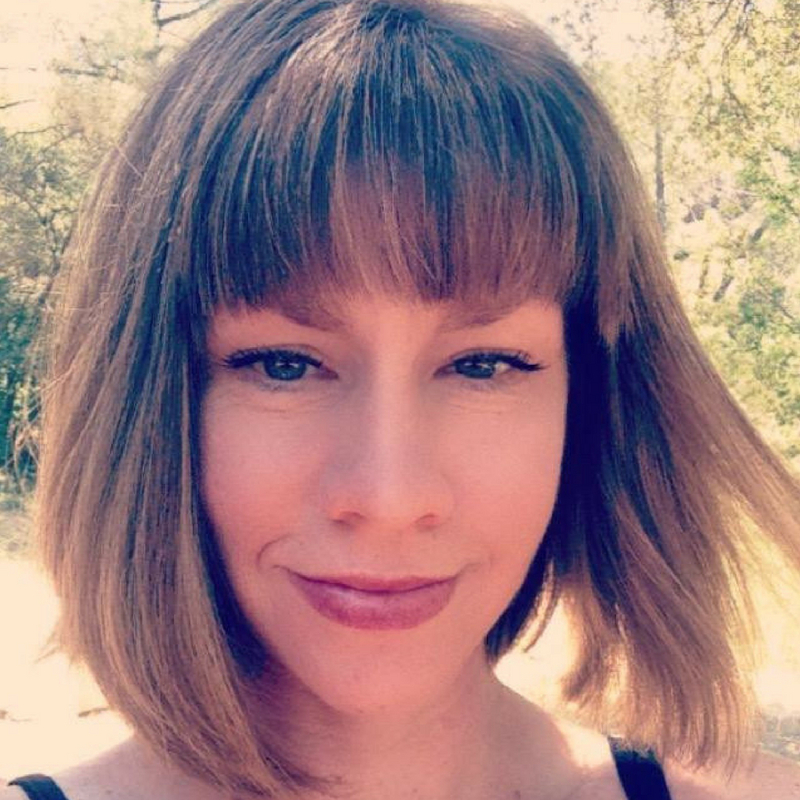 Stephanie has a passion for alternative therapies and how they help heal the mind, body, and spirit. She loves working with essential oils and crystals and is thrilled with how they help her clients become more balanced energetically. She is also the author of "Healing with Crystals for Kids! ", which is available in paperback and Kindle versions. 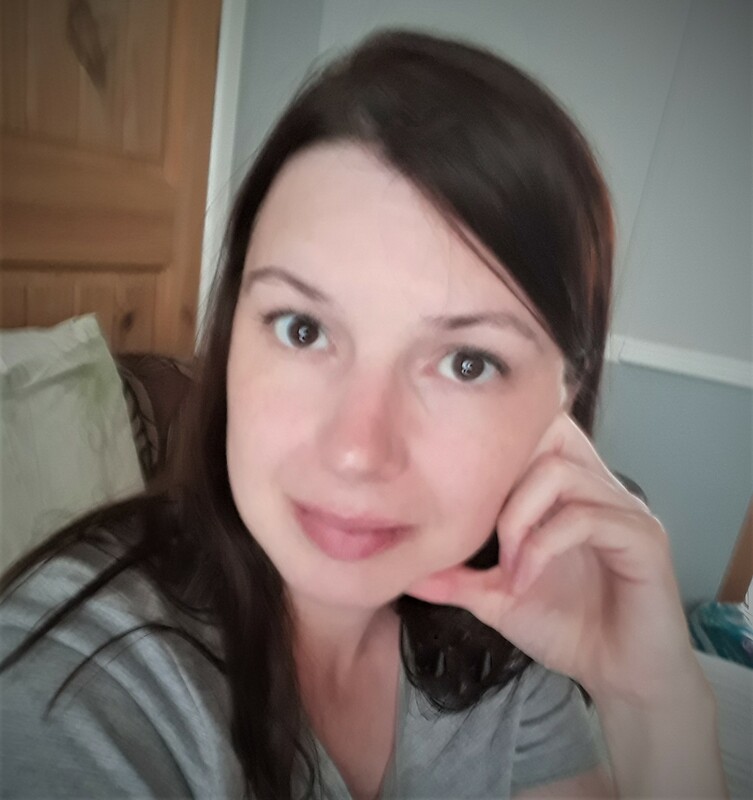 Rachael is a Reiki Master Teacher, as well as a Medical Qigong Practitioner, Family Constellation Therapist, Integrative Sound & Music Practitioner, Strategic Intervention Coach, Crystal Therapist, Aromatherapist, Hypnotherapist, and Intuitive Oracle Card Reader. Brianna Shambrook is a Shamanic Witch rooted on Vancouver Island, British Columbia. Through practices such as core shamanism, crystal healing, sound healing and ritual magic, she is devoted to honouring your divine goddess within. 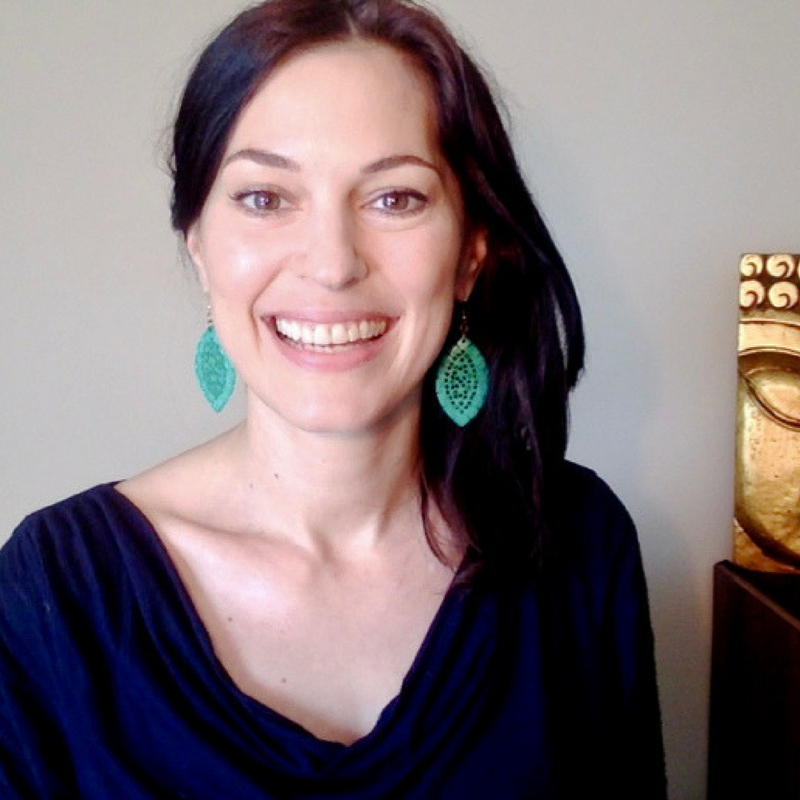 As a ritualist, she brings you everyday practices and ceremonies that empower you. With Brianna by your side, you will awaken to the power and light within. Dawn moved to Georgia a few years ago from Minnesota. She loves her family, to be creative and create. Her guilty pleasures are learning about Wicca, crystals and anything paranormal. 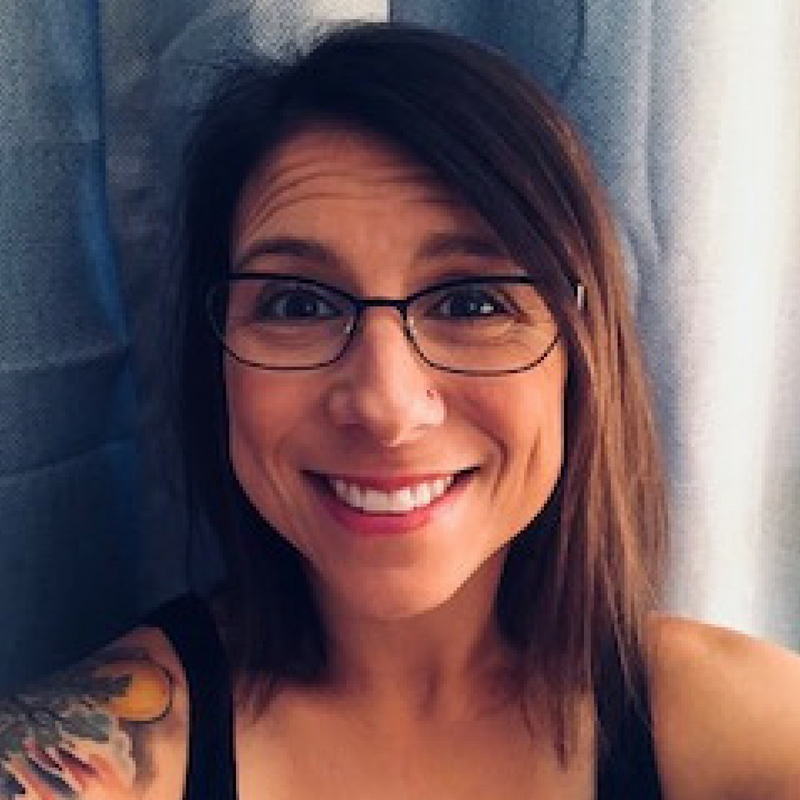 Kat Michaels is an intuitive guide, mentor, and healer here to help her clients transcend harmful energy and patterns in their lives, replacing them with love, stability, and joy. 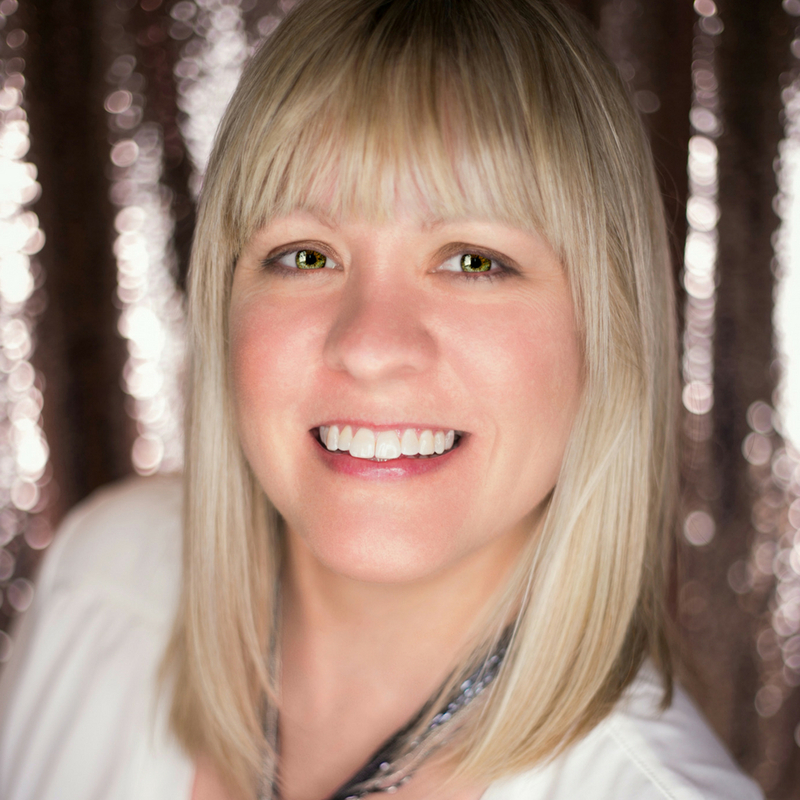 As an angelic healer, multidimensional medium, and crystal therapist, Kat uses her psychic senses to receive and deliver messages and healing during her sessions. Jaime Pfeffer is a spiritual teacher, motivational speaker, psychic, author, and meditation teacher. 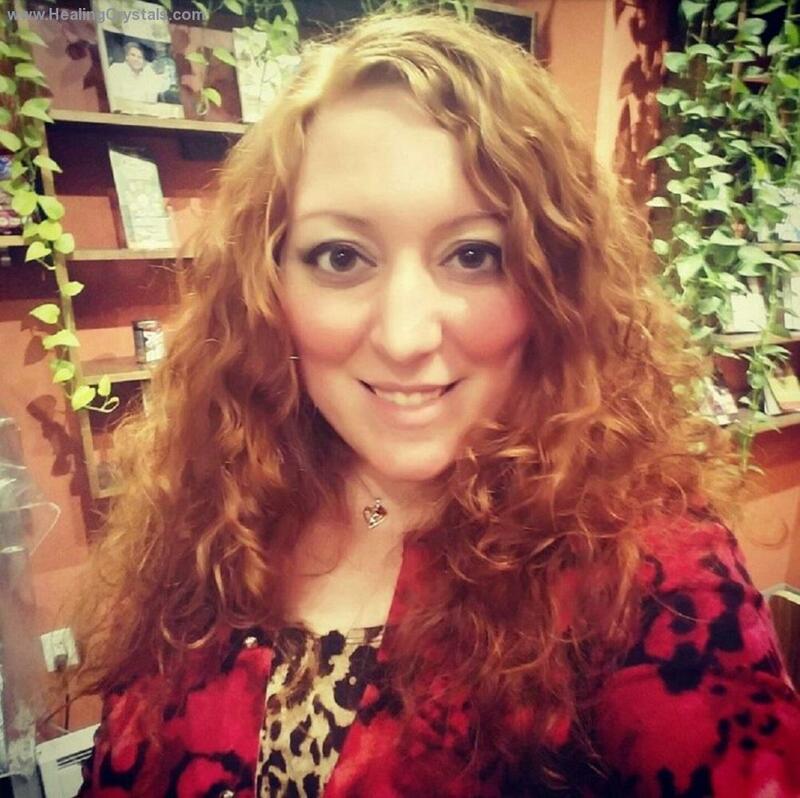 She stepped back from doing psychic readings, mediumship, and coaching in November 2017 to focus on finishing her first book, Uplift, which helps people overcome the toxic traits of codependency. 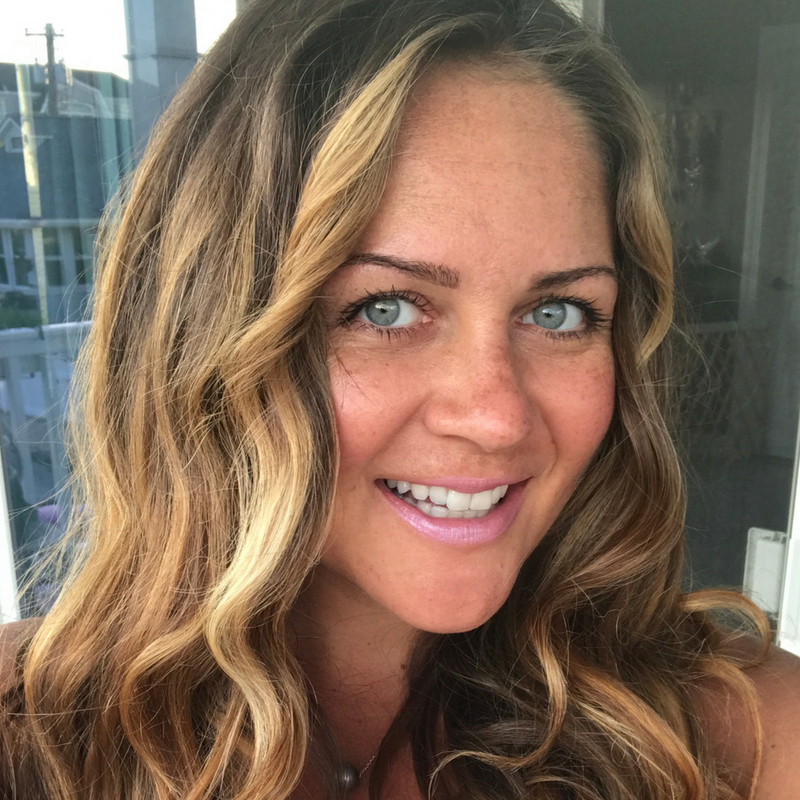 Jaime loves the ocean for its cleansing and healing properties and moved to the beach last year with her husband and two girls. Jaime is positive, upbeat, and loves learning. She believes that, through easy, practical tricks and tips, anyone can live an extraordinary life. 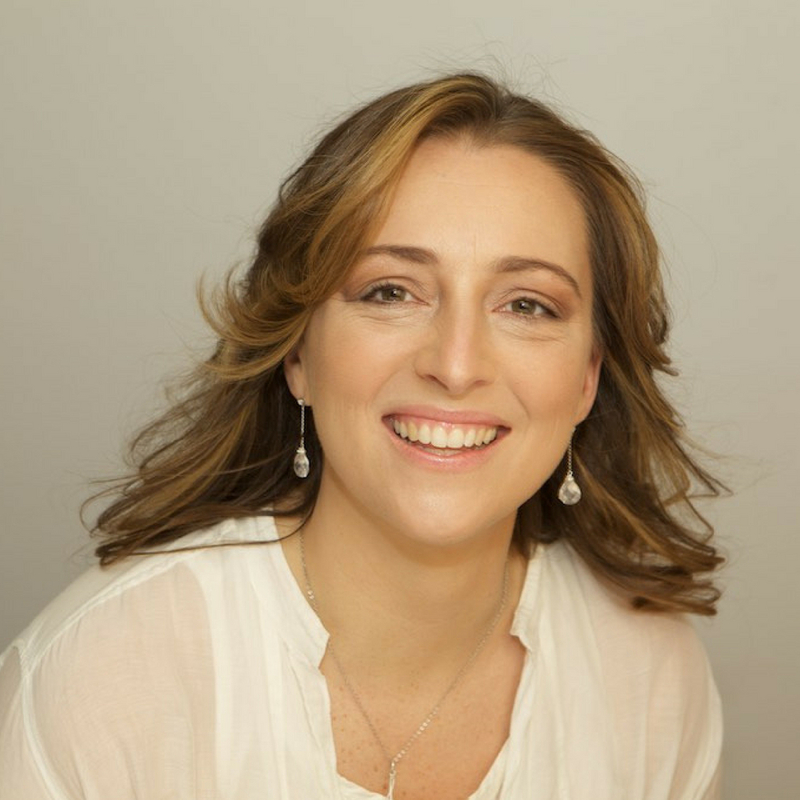 Hi I’m Gemma, an Astrologer and article contributor for Healing Crystals’ social media. I hold a diploma in Astrology, with a distinction in both Natal and Mundane Astrological work and I’m a member of the APAI (the Association of Professional Astrologers International). I’m passionate about Astrology, nature, our environment, truth and love. 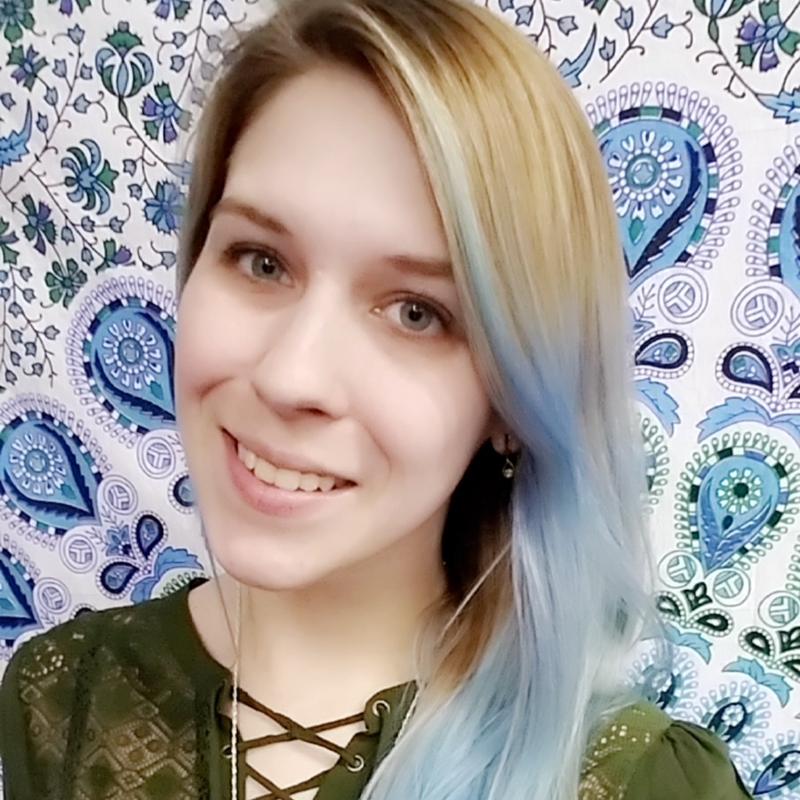 Hi, I'm Shelley and I help you work with manifestation and alchemy practices to heal and realize the positive change you desire! I believe our body has an innate capacity to heal itself and that there is a higher wisdom at work inside each of us that guides our life path. I encourage entrepreneurs to let go of working hard and show them how business alchemy aligns our intentions to create vitality. I enjoy seeing my clients heal and discover the joy of listening to their body. When I'm not facilitating healing sessions, I love performing improv comedy and am secretly addicted to watching Shark Tank! Hello, I’m Kathleen Johnson, founder and owner of UniverSoul Heart, a holistic wellness practice offering Reiki, Crystal Healing, Past Life Exploration, and Spiritual Guidance. My mission of service is to assist others in transforming their lives- by facilitating wellness and wholeness. I provide “Holistic Wellness with Unconditional Caring and Acceptance”. 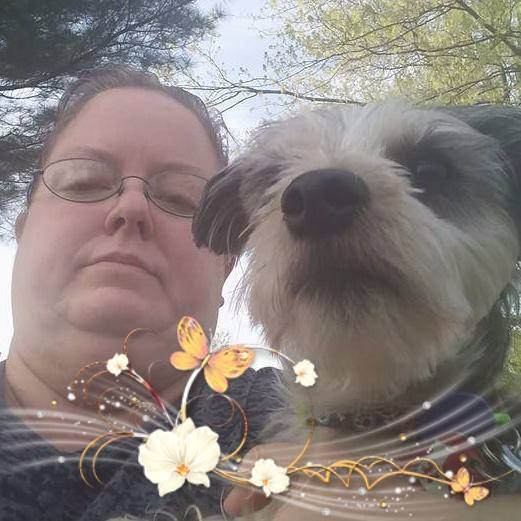 Jeannie Vos is an animal totem medium, animal communicator, INEH certified esoteric energy balancing practitioner, clairvoyant and Reiki Master. 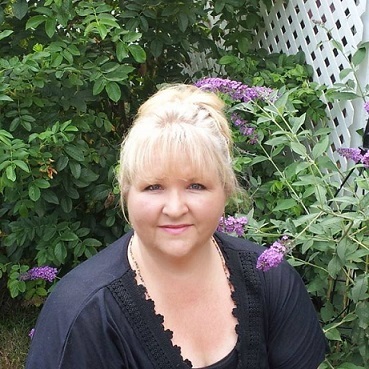 As an animal totem medium, Jeannie works with you to discover your sacred animal totem guides aka spirit animals. She uses a method called "Inner Totem Pole" in which she calls upon your 9 birth totems that represent your unique inner totem pole. Jeannie sees each of your birth totems clairvoyantly. She teaches you about their symbolism and how each totem assists on your life path. My name is Allison LaBarbera and I live in Long Beach, New York. I have a Bachelors of Science degree from West Virginia University and I am currently a stay at home mom. I've always loved working with crystals but in the past few years I truly have resonated with the abundance and healing properties they provide. I decided I wanted to share this goodness with others which is why I started my own crystal wellness jewelry company named Vibing High. I'm passionate about healthcare as a nurse and a mother. In 2013 I learned about the healing properties of orgone energy. I have always had a healthy fascination with crystals, but this was different! I bought my first piece from a friend and I noticed the changes immediately! My daughter was sleeping better & there was a sense of calm & peace amongst the rest of the family. I knew I had to start making some right away! Five years later I'm still at it & I'm getting incredible reviews from my clients around the world. 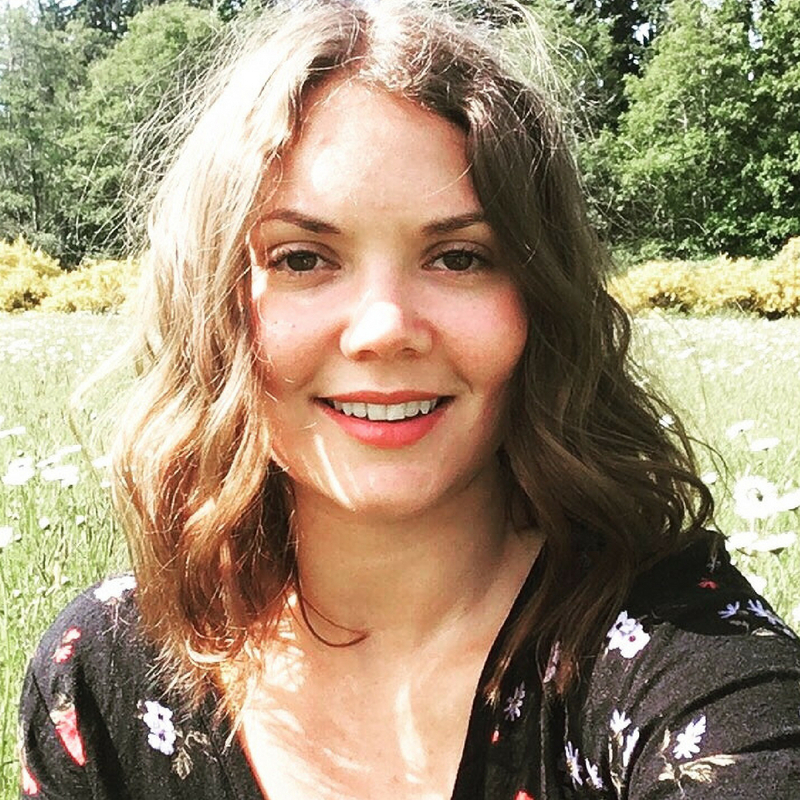 Amy Basingstoke is a Certified Crystal Healer (CCH), a Certified Crystal Reader (CCR) and a lifetime member of the World Metaphysical Association who performs in-person and distant healing sessions. She has found a deep connection to working with crystals and believes that everyone can benefit from their healing properties. I live in Missouri with my husband and our three amazing children. After eight years in the field of social work, I found my Soul purpose and started a new path. I am also a Certified Crystal Healer. I help people live a fuller life by accessing love, abundance and inner peace by removing energetic blocks. I am an Intuitive Energy Healer and Psychic Medium who specializes in clearing energy blocks that keep people from better health, inner peace and calm, increased abundance and more fulfilling relationships. I am Clairvoyant (clear seeing), Clairsentient (clear feeling), Clairaudient (clear hearing) and Claircognizant (clear knowing). Sonja Francis is a certified Astrologer and Life/Relationship Coach. 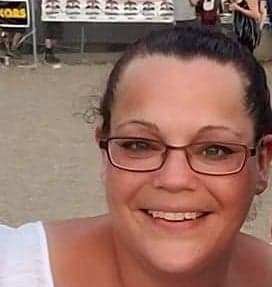 Her passion is for connecting with people and helping them transform their lives. This led her to train as a life coach, in addition to her lifelong study of astrology. She currently serves dozens of clients across several continents via Skype, FaceTime, Zoom and phone. She has also created her own online community, to create a daily support system that helps individuals all over the world with their personal evolution and their Soul's journey. 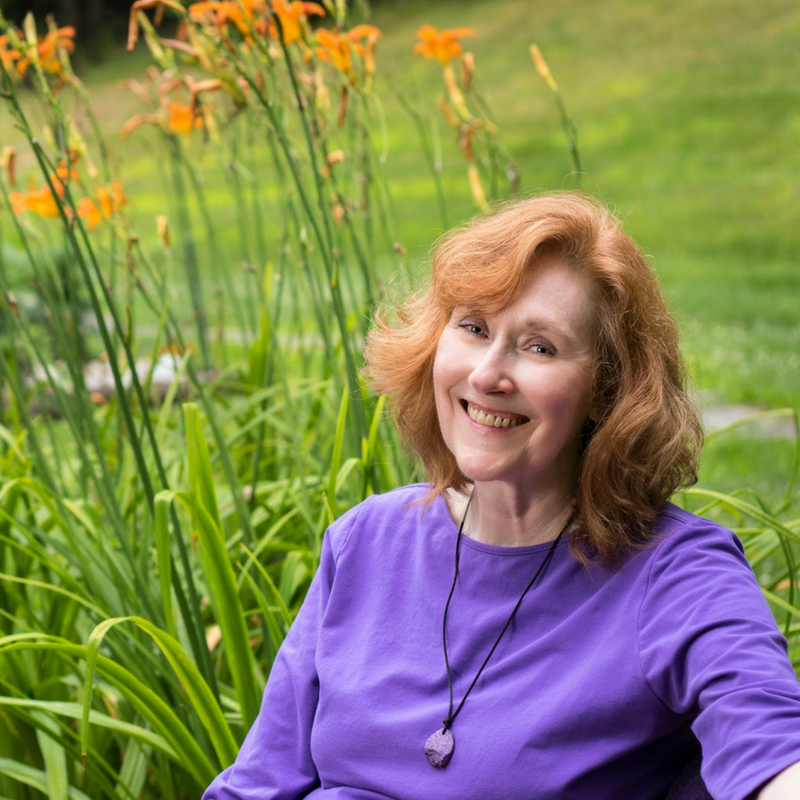 Thanks to her animal expertise and many years spent traversing the wilderness of the world, Lizzy is happy to provide animal medicine consultation for Healing Crystals, combining her passions for the metaphysical with the scientific. 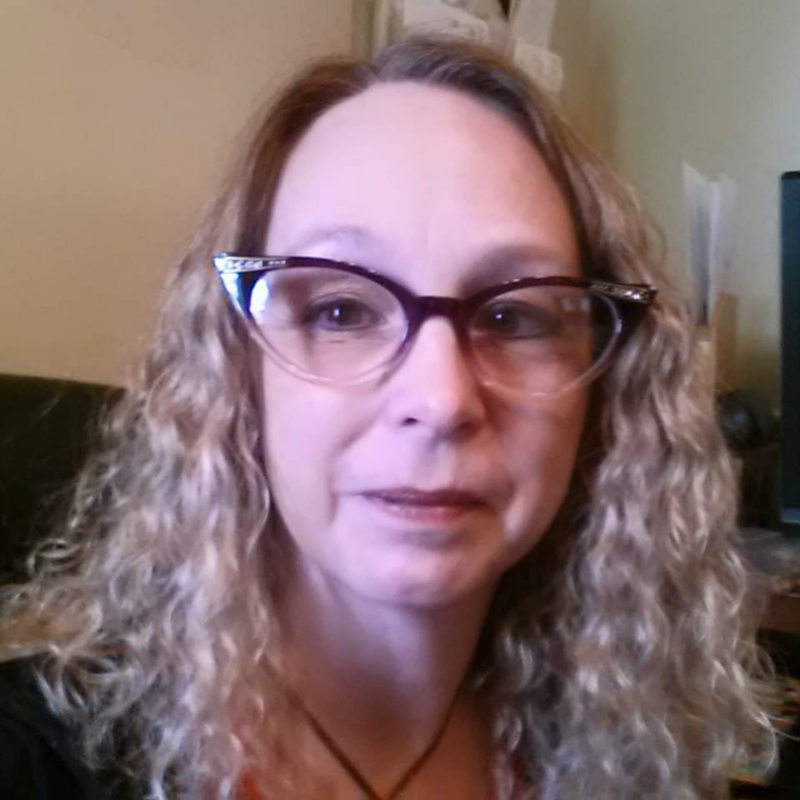 Terreasa is a Certified Crystal Healer, Sacred Grid Teacher, Intuitive Card Reader, Chartered Herbalist, and Reverend. 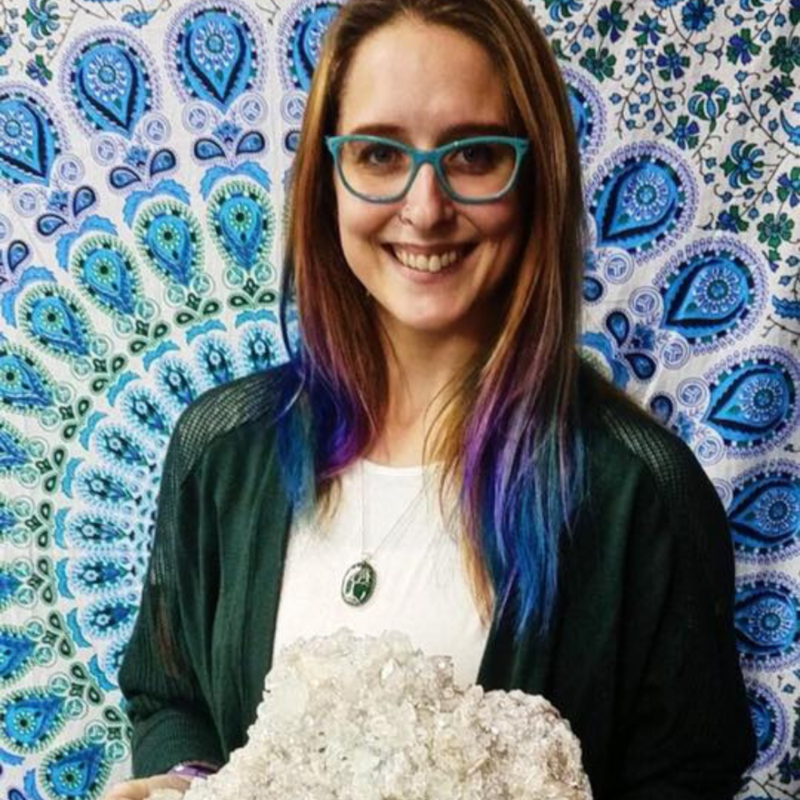 She is also the proud owner of Enchanted Thyme gift shop, where she helps clients choose crystals that can improve their lives. She also offers Crystal Healings, Consultations and Card Readings, as well as performs weddings. an IRS approved 501c(3) non-profit organization. 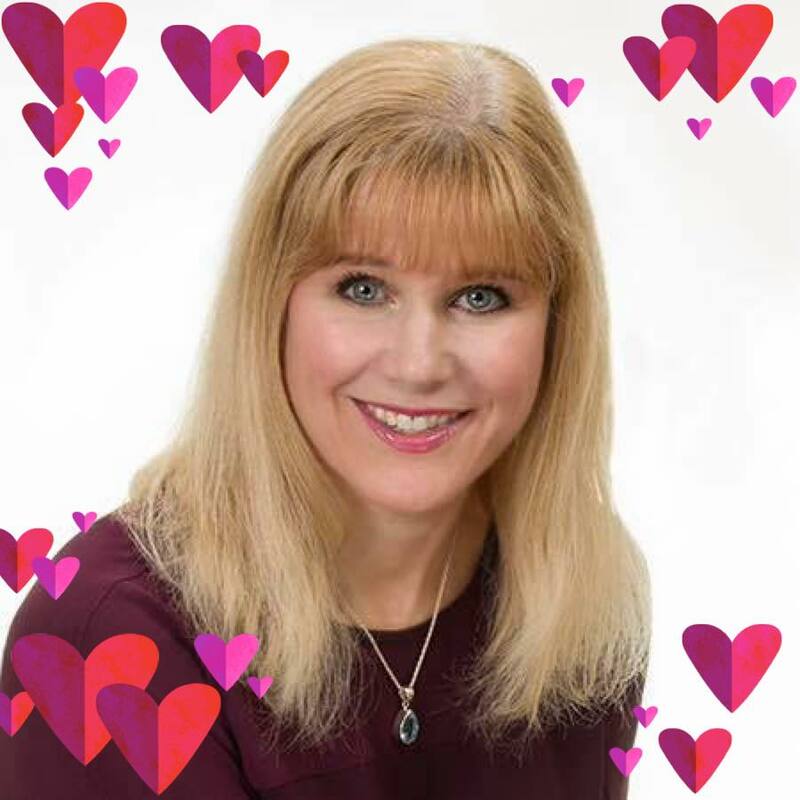 Deborah Harrigan, Founder of Living with Spirit, is a Professional Business and Personal Intuitive Consultant, Medium, Reiki Master and International Business Leader who has traveled much of the globe guiding and training others in the ways of success and happiness in life and business. Living and traveling internationally has provided a great opportunity to study, better understand, and experience the vast global cultural diversity of spiritual practices. My loving husband and 2 wonderful children make all the difference, with their love and support I truly Live with Spirit and share this special gift with the world. Dennis - Dennis Lortie is one of the founding directors of the Foundation for Balance & Harmony, Healing Crystals' parent organization. Denis is based in Guatemala and he has developed a combination of techniques which include Kinesiology, Brain Gym, and pedagogy exercises that can enhance learning abilities in both children and adults.